The City is surrounded by deserts on an Earth where the oceans dried up millions of years ago. Diaspar is an isolated, technological marvel, ruled by the Central Computer. Birth and death have been eliminated. Instead, in an endless cycle, people emerge from the Hall of Creation, already mature, imprinted with memories of their earlier lives, to live for a thousand years, until they are "recalled," and stored once again, in the vast memory banks of the Central Computer. Life is stagnant, stale, and meaningless. Nothing new has happened for at least ten million years. Until Alvin walks out of the Hall of Creation — a "unique" with no past lives, no past memories. Once he escapes Diaspar, Alvin finds a place called Lys, where its telepathic citizens know birth — and death. In Lys, Alvin finds friendship and love. He also discovers un-Earthly creatures who help him understand the forces that defeated mankind, and drove the people of Diaspar to cower in fear behind their walls. His discoveries lead to a fateful journey to the stars and back. On returning, Alvin brings with him something so strange, so alien, and powerful, it will change the world forever. But for better or worse not even he can guess. 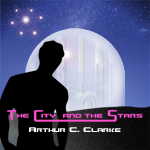 Along with Childhood's End, The City and the Stars is considered one of Clarke's best, most provocative novels. 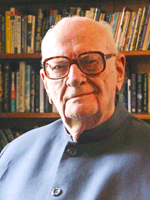 It introduces a concept he wrote about in many of his later works: an advanced, but insular Earth being confronted by superior alien intelligence - an encounter that catapults Earth into the next stages of evolution.